When it comes to creating works of art with flight paths/ routes, not every pilot is Vincent van Gogh. Some aviators’ radar drawings wouldn’t even make it on their parents’ refrigerators. Still, it’s the effort that we appreciate, and it’s always nice to to watch when something creative and unique pops up on FlightRadar24’s live tracker. 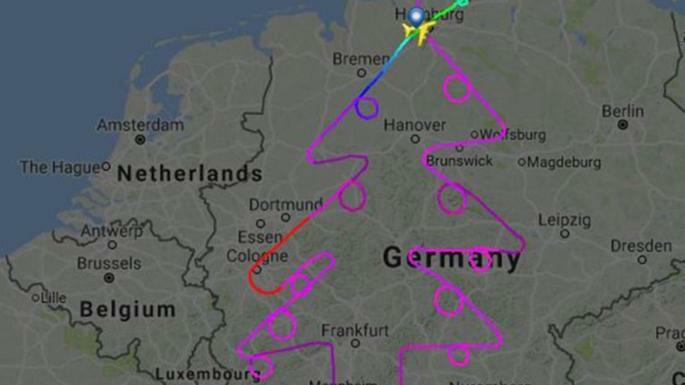 On Wednesday, an Airbus flight test team out of Hamburg used their A380 to draw a Christmas tree over Germany, and they even placed some ornaments on it. It’s not exactly the most beautiful tree but it spread some holiday cheer to many of Airbus’s. Moduł językowy inspirowany wiadomościa opublikowaną na flyingmag.com 14.12.2017.